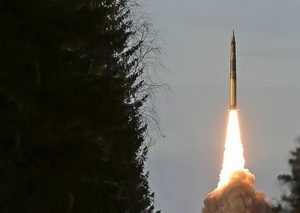 Russian military carried out a combat training launch of solid-fuel mobile land-based intercontinental ballistic missile (ICBM) RS-24 Yars equipped with multiple warheads, at Plesetsk state test spaceport (world’s northernmost launching facility in Arkhangelsk Region of the European Russia), Russia’s Defense Ministry reported. Training combat units reached the target site at the Kura training ground on Kamchatka Peninsula in Russia’s Far East. Objectives of the exercises were thus accomplished. The purpose of the launch was to check tactical, technical and flight characteristics of the modern missile system.